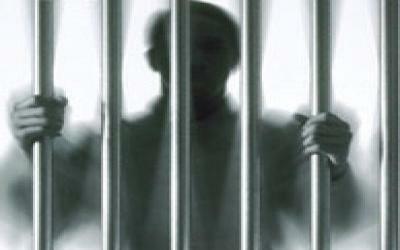 COIMBATORE: Two Coimbatore youth have been awarded seven years in jail each for waylaying and robbing a man of Rs100 and a wrist watch two years ago. Handing down the punishment on Tuesday, the Fourth Additional Sessions Court judge A K A Rahman also imposed a penalty of Rs10,000 on the two. According to the prosecution case, on the night of February 7, 2010, the accused Rajendran and Askar Ali, both aged 27 and residents of Selvapuram, had brandished a knife and waylaid one Saravanan who was proceeding to a pharmacy to buy medicines. They relieved him of Rs100 and a watch on a street in Selvapuram Muthusamy Colony. Additional Government Pleader M K Elangovan argued the case for the prosecution during the final trial. The conviction of the two youth set tongues wagging outside the court hall as people felt that Rs100 was too paltry a sum warranting seven years’ imprisonment. However, senior lawyers pointed out that in the eyes of law the quantum of punishment is not proportionate to the amount robbed. “As per Sec 392 of the IPC, whoever commits robbery shall be punished with rigorous imprisonment for a term which may extend to 10 years, and shall also be liable for fine. The judge has rightly invoked this provision,” a senior lawyer explained. The lawyer added that the accused had threatened the victim at knife-point, which was a serious offence.